Use with early Ford steering columns when removing stock steering gear. 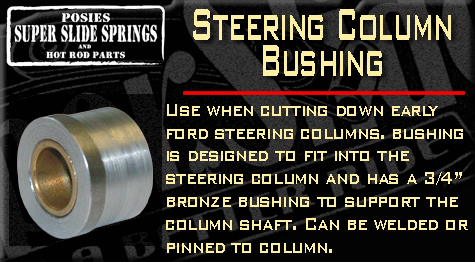 Features 3/4″ bronze bushing to support steering shaft. Outside Diameter —— 1.42″ Fits inside column tube.